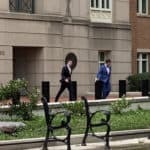 Earlier today, an anonymous source sent Hill Reporter images of GOP operatives Jacob Wohl and Jack Burkman leaving the Alexandria Courthouse in the Eastern District of Virginia. 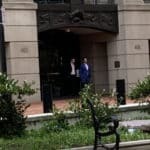 The source provided numerous photos of the two men exiting the courthouse (as seen below), and stated that they were taken today, April 15, 2019. Other journalists, including Ken Klippenstein also received these photos. The source identified himself as an individual who we could not confirm the existence of. This combined with the fact that journalist Ken Klippenstein of TYT Investigates, also was provided with a similar lead, makes us question if this is another hoax being perpetrated by Wohl and Burkman, or if the two men are actually part of an on-going case or grand jury testimony. 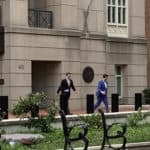 Klippenstein noted that the individual who contacted him had a number which traced back to the Arlington Center for Political Intelligence (ACPI). Hill Reporter checked the number and found that we too were contacted by this number months ago in relation to another Jacob Wohl story we were covering. 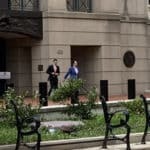 Klippenstein also noted that a simple ‘Google search for Arlington Center for Political Intelligence’ brings up an image of none other than Jacob Wohl. Currently, in the Eastern District of Virginia (EDVA), there is a case that involves Russian oligarch Evgeny Prigozhin and his company Concord Management and Consulting. According to an indictment brought in February of last year, the company allegedly acted to financially support a group known as the Internet Research Agency which allegedly interfered with the 2016 Presidential election by spreading misleading information on social media. Earlier this year, special counsel Robert Mueller claimed that evidence in his case against Concord Management was leaked online for another disinformation campaign. 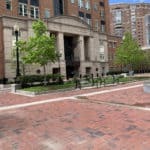 Additionally, the Julian Assange case, which resulted in the his arrest in London last week, is also taking place in the Eastern District of Virginia. In this case, Assange is accused of helping Chelsea Manning, perhaps unsuccessfully, in an effort to try and crack a government password. 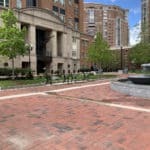 Jacob Wohl was willing to speak a little more, but he too would not elaborate nor confirm or deny if he was at the Alexandria courthouse today. It’s worth noting that Jacob Wohl and Jack Burkman have been behind several pro-Trump, pro-Republican hoaxes in the past, and just because either one of them makes a claim, there is no telling if that claim is true. 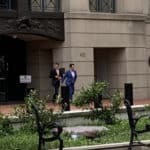 Hill Reporter has also confirmed, via Instagram, that Jacob Wohl has been in Arlington, Virginia, about a 14 minute drive from the Alexandria Courthouse, over the past 6 days. Mr. Burkman also resides in Arlington. 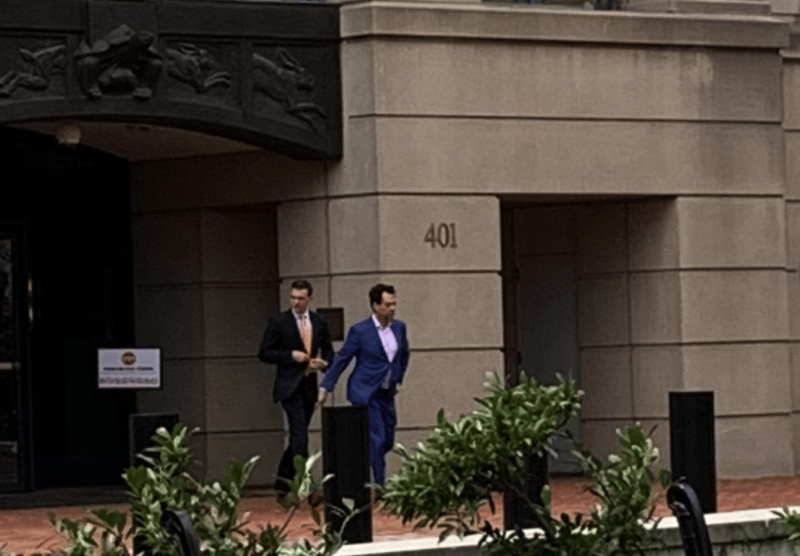 It is unknown whether Burkman and Wohl’s appearance at the EDVA courthouse has anything to do with either investigation mentioned above. It’s entirely possible it has to do with something completely different and even possible, if not likely, that both Burkman and Wohl simply staged the photographs to garner more attention from the media.